One of the most difficult things you’ll ever come across in your career is coming to the realization that somebody is not a suitable fit, and you need to show them the door. This can be for any number of reasons. Their skills might not be where they should be and they sold you defective goods, they could be an awkward personality that is causing a rift within your crew, they could be a complainer and whiner that is bringing everybody else down, they could be a gossiper that is poisoning the waters of your swimming pool. There could be a lot of reasons why you feel someone is more trouble than they’re worth and needs to go. Keep in mind what I am about to tell you is not for just those in positions of power who have the ability to make that difficult decision, but for those also that are in junior roles who are having a hard time coping with someone. I’ve been in both situations – the one doing the firing, and the one voicing my concerns about someone who was a bad fit for the team. And I have to say although they are different, both were equally tough conversations to have. At one point in my career I worked for a production company where a woman was hired on in an assistant type role and despite her age was in fact junior to me. We worked in different realms and our paths thankfully only crossed on occasion. But when they did, I have to say this was one of the worst experiences of my working life. This person was condescending, uncooperative, passive-aggressive, and undermining me at every turn. So what did I do? I sucked it up. I didn’t want to be perceived as the one who had the problem…. cat fights and all that nonsense. So I chose to say nothing and do my best to deal with this human being, figuring it was just me and her that rubbed each other the wrong way. Then came the day through the friend of a friend I got talking to a man who worked for another production company in town. He said “I hear you have so and so working for you”. I said “Yes”. He then informed me she had in fact been fired from this previous job due to her caustic personality. Somehow I wasn’t surprised….yet still I kept my mouth shut for fear of being the one to rock the boat, looking like a gossip, and somehow being blamed for my inability to make things work. Big lesson learned that day. If someone is showing signs of being a difficult personality, 99.9% of the time there are others experiencing the same thing you are. Personality traits are personality traits, and one does not display them only with certain people, reserving their certain brand of charm just for you. If someone is making your life hell it behooves you to speak up so that the problem can be remedied, because no one is paying you enough to put up with garbage and ill treatment. It is up to the senior staff member to decide how best to deal with the situation. In this case it was a firing because the problem was too pervasive and there were enough upset people to placate. There also wasn’t much hope this person’s dysfunctional personality could be developed and worked on. It was time to call it a day. And a lot of people, including myself, breathed a big sigh of relief. If there is an ongoing problem you have to be brave enough to take the bull by the horns and say something. The reality is that depending on the work situation (and unions), it may not be possible to remove this person from their role immediately without ample proof and grievances. That’s why I document everything if things are going south. Keep dates noted, along with the occurrence and what exactly was said. That way either you or your boss has noted proof as to the problematic personality. The production company I worked for was in fact fearful that this woman was difficult enough she would come back at them with a lawsuit for wrongful dismissal. That’s why it’s imperative that you make your concerns known as soon as they crop up because someone in a position of authority needs to be making mental, if not physical notes about what is going on. They shouldn’t be left in the dark and later blindsided when information like this comes to light. I realize now that I wasn’t taking ownership of my own feelings, and didn’t have enough self-esteem to put the blame where it in fact belonged. (I was later informed that she had admitted it was my job she was gunning for. I knew it in my heart but didn’t want to own it). By the time I started producing I finally had to get over myself, because the tables would be turned, and I was now the one calling the shots who was responsible for looking after not just my own well-being, but the well-being of my staff. In that regard I have had to fire two people in my life. In both cases these were on factual projects where there is a level of intimacy between the subject and crew that I don’t think exists in drama. In the first case two subjects had complained to me that this man made them uncomfortable in his presence. I had never worked with him before and he had come recommended to me, but the reality existed there was something about him that was disconcerting to the female population. There wasn’t much more discussion needed than that. A crew member can be replaced, your subjects can’t, so he had to go. If females felt vulnerable and ill at ease with a man that’s not something you mess around with. This is where the joy of termination clauses in your non-union contractor deal memo comes in. Make sure you’ve got them and use them when required. I was not required to give him any notice thankfully… because no one wanted to spend another day in his presence. There was also no way I was going to get into the territory of discussing what was really behind me letting him go, so I chose to keep it about the work: professional and above board and no personal slams. A man can recover from being told his work is not up to standard, he is not likely to react favorably to being told women find him ookie. And the truth was his work wasn’t great and I could have done better. So that’s the call I made. “I’m not happy with the quality of your work, so will be finding a replacement for tomorrow. I no longer require your services.” End of story. I was scared at the prospect of this conversation but he didn’t seem surprised. He left with no kafuffle or argument. That was my next lesson in the art of letting someone go. If you can, take the path of least resistance. If making things personal can be avoided make that choice. The last person I had to let go was because of me and me alone. For the life of me I could not get this human being to do anything I asked. The work was terrible, he was terrible, and I felt terrible because it was my job to tell him to hit the pavement. As I did the first time I kept it about the work and that I wasn’t happy with the services he was providing. I was admittedly freaked out about doing this because I didn’t yet have a replacement lined up… but there was no reason to go any further with the job after seeing the quality of what he was delivering. It was painful beyond belief. But once I made that decision and let other members of the crew know what was going on, and that I was having difficulties someone came up with a solution for me. They called a friend and within the hour I had someone new at the location. This replacement turned out to be one of the most stellar human beings I’ve ever come across in the industry and the work was a joy after that. I was happy to go to work every day and looked forward to being in his presence. That’s the final lesson of letting someone go. There is always another better person standing in line waiting for the opportunity. If you’re not getting what you want and someone is making your life less than easy, decide to make a switch if it’s within your power to do so. You’ll be happy you did. The work should never suffer, and whether you’re at this stage of the game where you’re calling the shots, or you’re in a junior position and answerable to someone else, it’s up to you to make sure your concerns are being met and remedied. 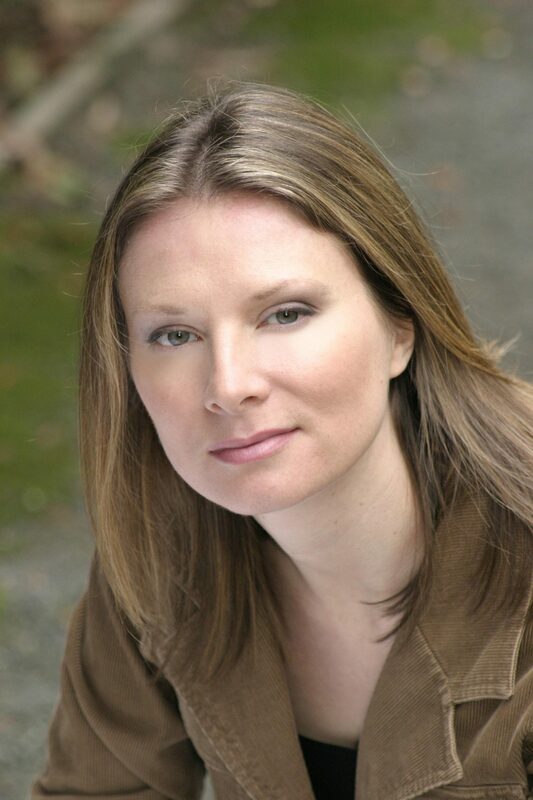 Beginning her career in 1994 as the Producer’s Assistant on the TV series Highlander, Katherine was eventually awarded an Associate Producer mentorship by the CMPA on the Showtime series Dead Man’s Gun. She went on to gain a broad knowledge base throughout her work at Peace Arch Entertainment and Omnifilm Entertainment in the areas of development, production and business affairs. During her career she has been involved on many projects including Francis Ford Coppola’s sci-fi series First Wave, David Steinberg’s comedy series Big Sound, the ½ hour dramedy Robson Arms, five Lifetime Network movies, the animated series Pirate TV, along with nine documentaries. She also did two stints at Creative BC as an Analyst. She has done work for over 20 broadcasters and won numerous international awards. Katherine just produced the movie “Rio Heat” – a Canadian/Brazilian co-production featuring Harvey Keitel.